Every day, time is wasted by your team searching for important documents that have not been stored in the right place, or trying to gather files from multiple locations. This is both unproductive and highly frustrating. Digital Asset Management (DAM) software simplifies electronic file management. By storing digital documents, images and videos in a central hub, all colleagues can easily locate and access documents, and save them in a logical manner, using meta data where appropriate. Time is one of the most precious currencies in working life. A DAM solution is the magic formula your organisation needs to lighten colleagues' administrative workload, and enable them to focus on what they do best. 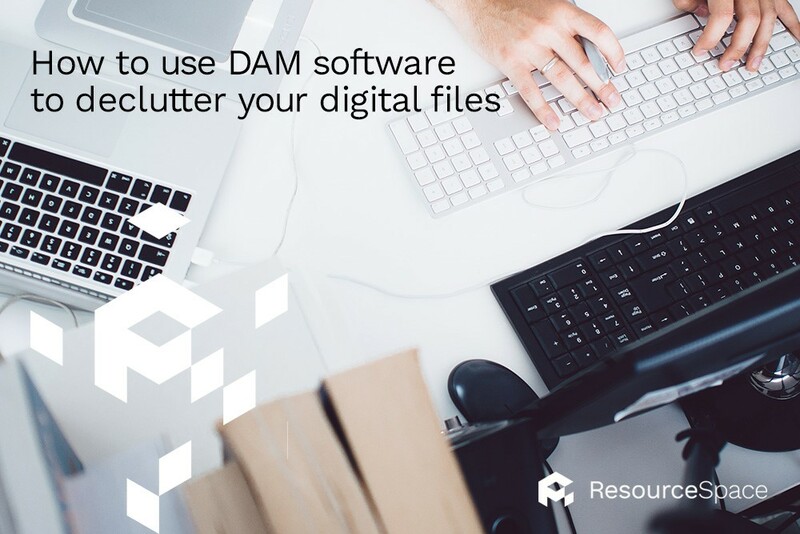 To discover how quickly DAM software can digitally declutter your company files, start your free ResourceSpace trial. To discuss your needs further, get in touch with us today.